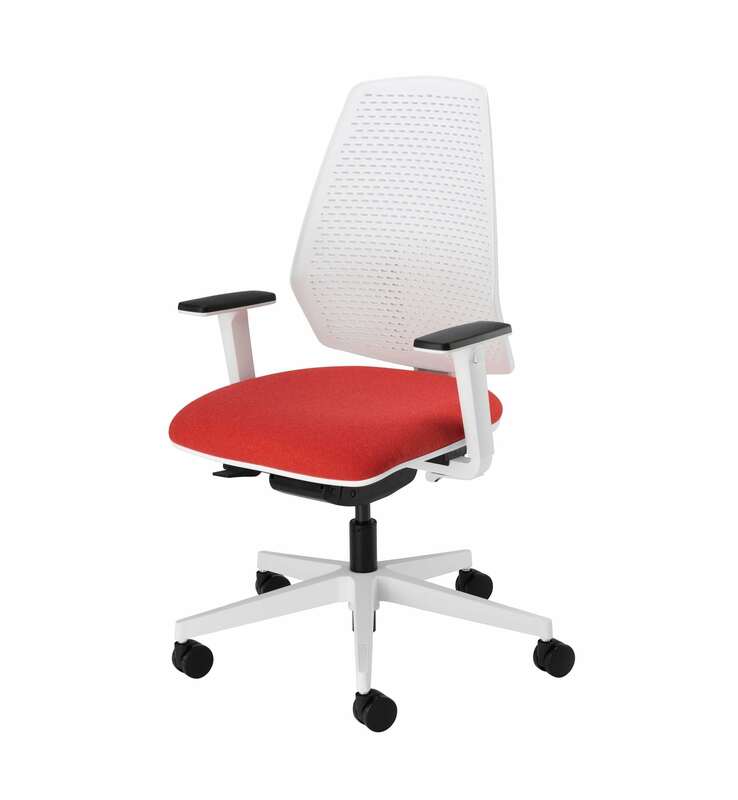 ​The fresh, contemporary white back on this Mono is a dynamic addition to the workspace. The flexible, aerated polypropylene is ergonomically shaped and comes with ratchet height adjustment as standard. 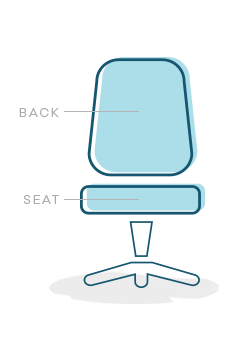 Soft, PU-topped height and width adjustable arms and integrated seat slider also helps to position this chair to the user’s exact metrics. Mono features a self-tensioning, body-balance synchro-mechanism with push button, 5 position locking so the back can be left in dynamic free-float mode, which uses the user’s weight to perfectly gauge the tilt-resistance, or it can be locked in 1 of 5 tilt positions. The Anti-shock feature means it won’t catch you by surprise.